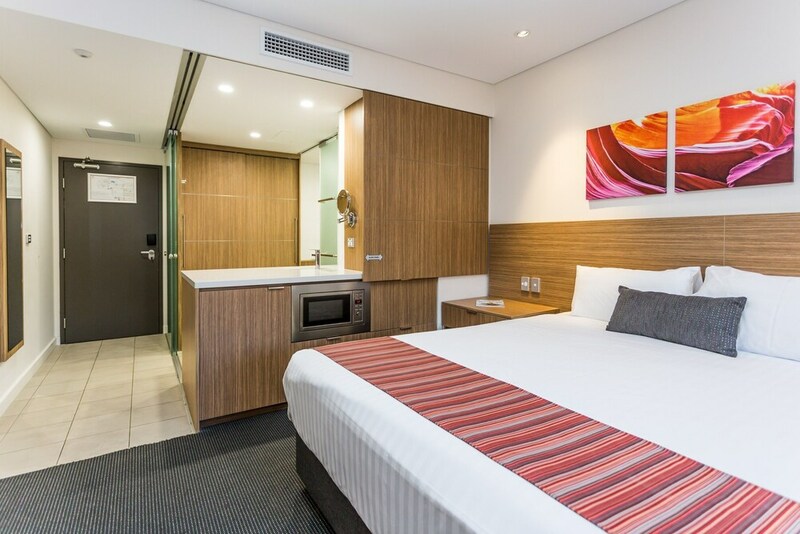 Located in Belmont, Country Comfort Perth is a 2-minute drive from Ascot Racecourse and 7 minutes from Crown Perth. This motel is 3.5 mi (5.6 km) from Belmont Racecourse and 3.7 mi (6 km) from Optus Stadium. Make yourself at home in one of the 161 air-conditioned rooms featuring kitchenettes with refrigerators and microwaves. Your pillowtop bed comes with down comforters, and all rooms are furnished with sofa beds. Complimentary wired and wireless Internet access keeps you connected, and satellite programming provides entertainment. Conveniences include desks and complimentary newspapers, as well as phones with free local calls. Enjoy recreational amenities such as an outdoor pool and a spa tub. Additional features at this motel include complimentary wireless Internet access, tour/ticket assistance, and barbecue grills. Enjoy regional cuisine at Firehouse, a restaurant where you can enjoy drinks at the bar and dine alfresco. Or stay in and take advantage of the room service (during limited hours). Mingle with other guests at the complimentary reception, held daily. Continental breakfasts are available daily from 6 AM to 9 AM for a fee. Featured amenities include a business center, express check-out, and complimentary newspapers in the lobby. Planning an event in Belmont? This motel has facilities measuring 1076 square feet (100 square meters), including a conference center. A roundtrip airport shuttle is complimentary (available 24 hours).